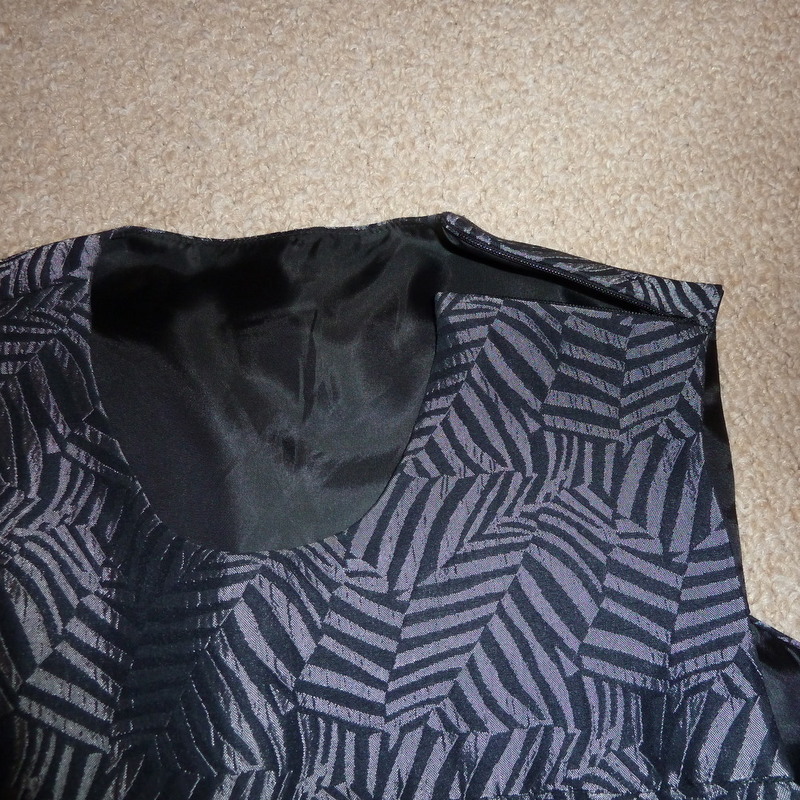 Posted on March 1, 2014 January 11, 2017 by catherinedaze	This entry was posted in dressmaking, Notions, Rants, sewing and tagged dressmaking, frog, mending, sewing, zip. Bookmark the permalink. 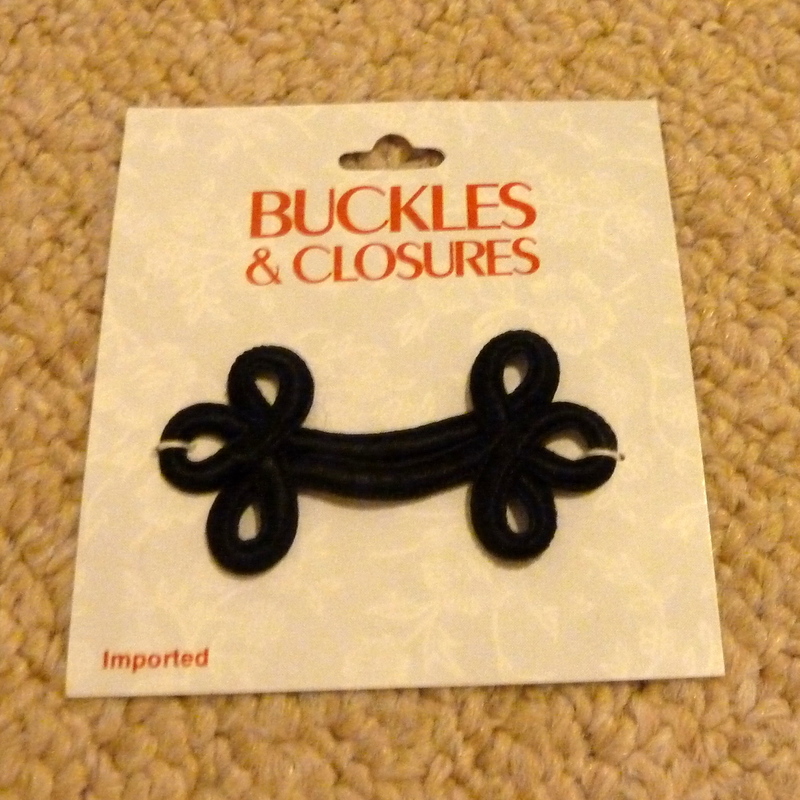 Ok, how about attaching an underpiece that snaps it closed then use those lovely metal hooks like in a wooled wool jacket? Its too cool to lose!!! First off, we need to address your aversion to hand sewing. Personally, I love to sit in front of the TV, place my Ott light on the adjacent end table so I can see what I am doing, and hand sew hems, zippers, and anything else to keep my fingers busy. It is relaxing and fun. You need to try this because it is your best solution to the broken zipper problem, and you might even enjoy it. You don’t want to diminish your dress with some work around. All you need to do is change your mind about hand sewing! I agree with Ann about the hand sewing. I use a board to hold my sewing flat like a table and sit on the couch. I use it as an excuse to watch shows that I should be embarrassed wasting time on. How about making your own frog in the size you need. I have been looking up tutorials. That might be the solution you are looking for as well as a new technique. As a lot of RTW has exposed zips these days you might find one in a charity shop garment. Of course this would mean getting the seam ripper out anyway. There is a shop in Tiptree called “The Cheap Shop”. Awful name, but it does stock a very wide range of craft things. It is worth a call to them. If you can rip out the bottom of the zipper, I think you can put the zipper head back on. It’s a little tricky and it might take a few tries to get it even again on the top. I do this with regular zippers, but haven’t tried it with an invisible zipper. Then make sure you put a stop at the top. You just take the stop off the part of the zipper that you cut off, and squeeze it on with pliers where you need it. Hope this works. I agree with Jayne…If it fell off, I think you can put it back on. Look up loading slide on invisible zipper on youtube, I always think visuals are always helpful. =o) Good luck! I sympathise. The zip on the jeans I made last year just broke so I am facing unpicking and redoing all that topstitching. In my case I’m buying a new YKK zip from zipperstop.com. I want something that won’t break this time, and I’m willing to pay shipping (which isn’t too bad for something so light) to get it. 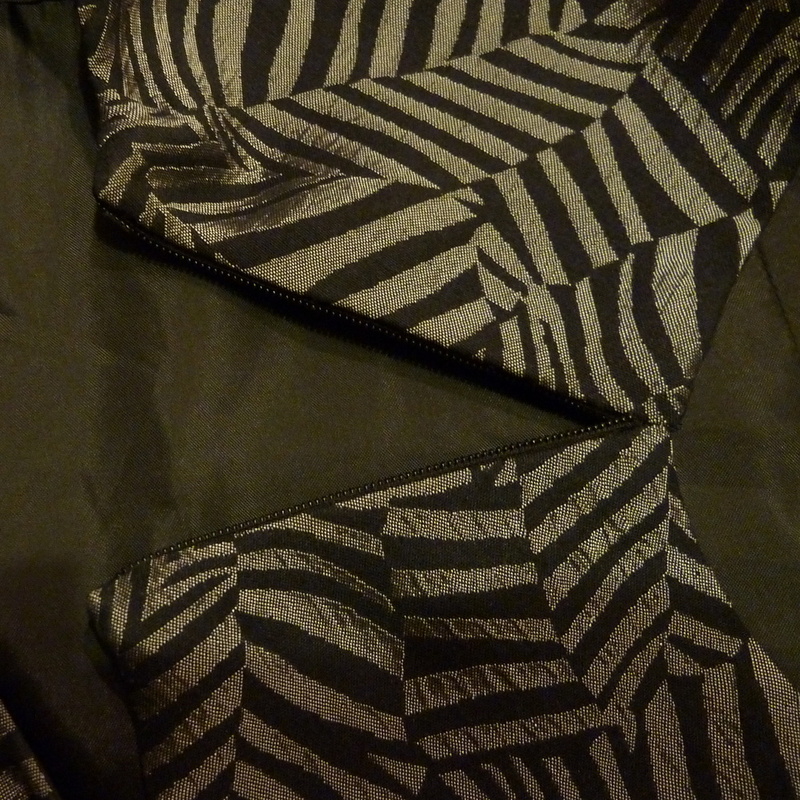 Maybe the underlap with heavy duty press studs would work (I think I’d also probably put a silver ribbon over the two shoulder seams to hide the old zip), but I like the zip replacement option best. I think a black and silver exposed zip would be very suitable for the dress style. And that frog “fastener” is ridiculous! Can you replace the slider? I don’t know about the zip (I mean, I love hand sewing but all that remedial action sounds tedious to me, too) however, I do know I love your tiger. Splendid! Good luck with the dress. Thanks, I’ll definitely check them out. I think the exposed zip is a great idea. What length and colour are you after? Zips here are plentiful and cheap so I’ll have a look for you tomorrow. I’m happy to buy and post it. Thanks, that’s so kind of you! As it happens I had another google last night and found one on eBay at last so I think I’m sorted now, but it was really nice of you to offer. No problem. Glad you found what you’re after. I like the exposed zip idea, normally I shy away from them, but it would be an interesting detail, since it’s on the shoulder! I get my zips from ‘The remnant warehouse’ but I’m not sure if they ship overseas. Glad you are fixing the dress. Its such a cool shape!